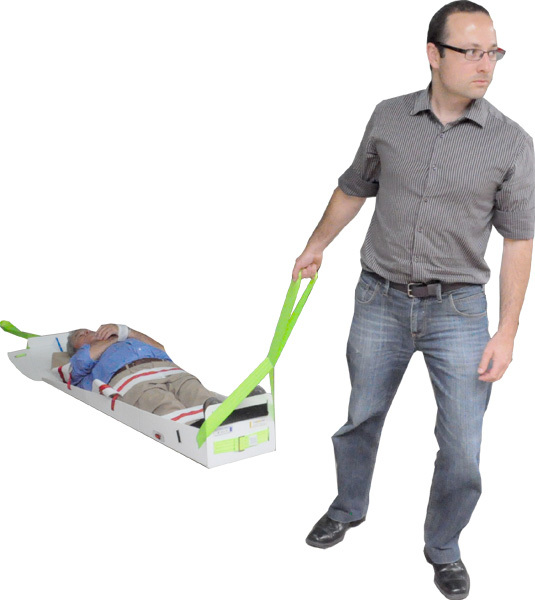 The ResQme patient evacuation sled from Evac+Chair helps you prepare your patients for evacuation. Designed for quick and easy use, this medical transport sled allows ONE person to safely transport another in emergencies, such as fires, tornadoes, hurricanes, acts of violence and more. It easily moves over ANY surface, across floors, and down stairs. The ResQme is the ONLY transport sled that easily adapts to the passenger's size (one size fits ALL). Its soft-absorbing head pillow reduces head movement going down stairs. 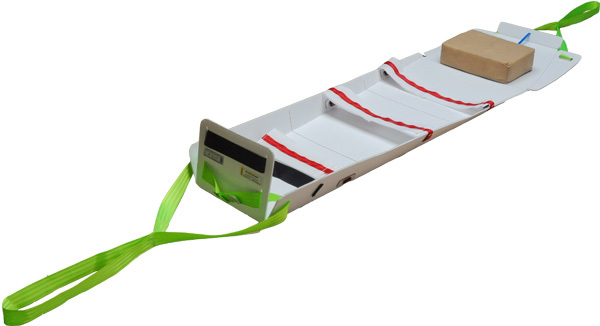 Featuring long towing straps at the head and feet for easy maneuvering, this patient evacuation sled provides total comfort during an evacuation. It also comes with a lifetime warranty!